Police have launched an investigation into how bogus workmen defrauded a 92-year-old Melrose woman of a five-figure sum of cash. 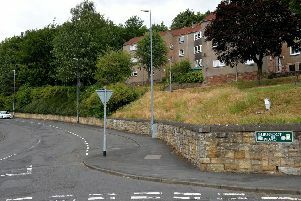 Between June 28 and July 17, the pensioner was visited at her home on at least three occasions by two men claiming to be from an Edinburgh masonry company. The pair advised the woman that they were carrying out work on the outer portion of her garden wall and were able to take her money over the course of the month. A family member then contacted police after being made aware of these incidents and establishing that no work had been undertaken at the property. The suspects are described only as white, in their forties and with skinny builds. Inspector Bryan Burns from Melrose Police Station said: “These individuals have repeatedly targeted a vulnerable member of the Melrose community and were paid large sums of cash for work that was neither required in the first instance, nor carried out in any case. “Anyone who believes they have information relevant to this investigation should contact police immediately. “We would once again urge the public not to allow unsolicited callers to carry out any work or repairs on their properties. Only use trusted tradespeople, who you have contacted in advance. “In addition, we would ask that our communities be wary of any suspicious activity around the homes of elderly or vulnerable friends, family and neighbours and report any concerns you may have to us. Those with information relating to this incident can contact Melrose Police Station via 101 and quote incident number 1540 of July 30. Alternatively, an anonymous report can be made to the charity Crimestoppers on 0800 555 111.